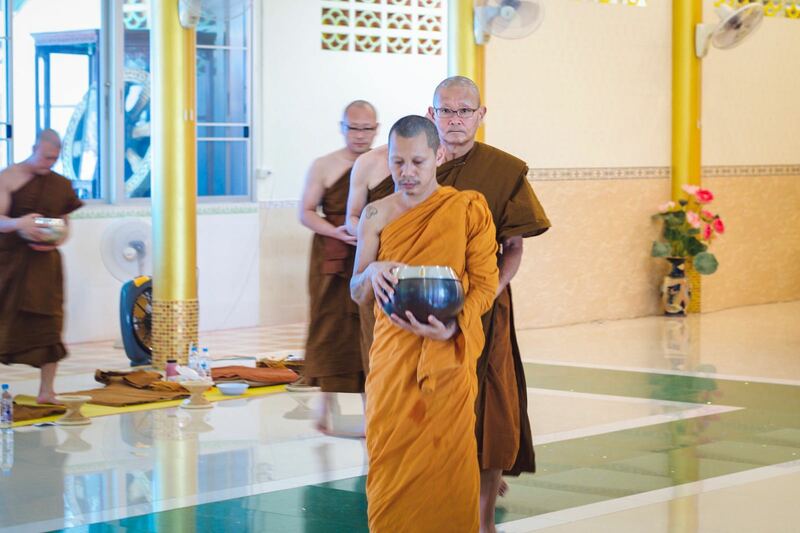 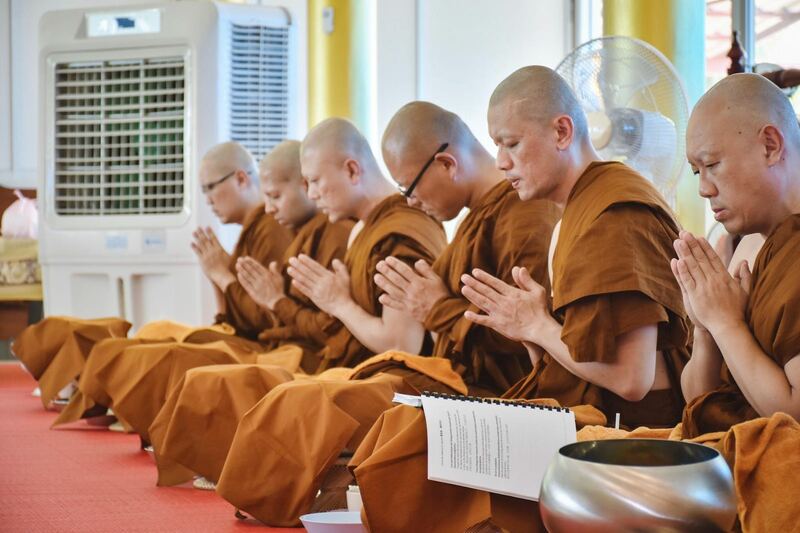 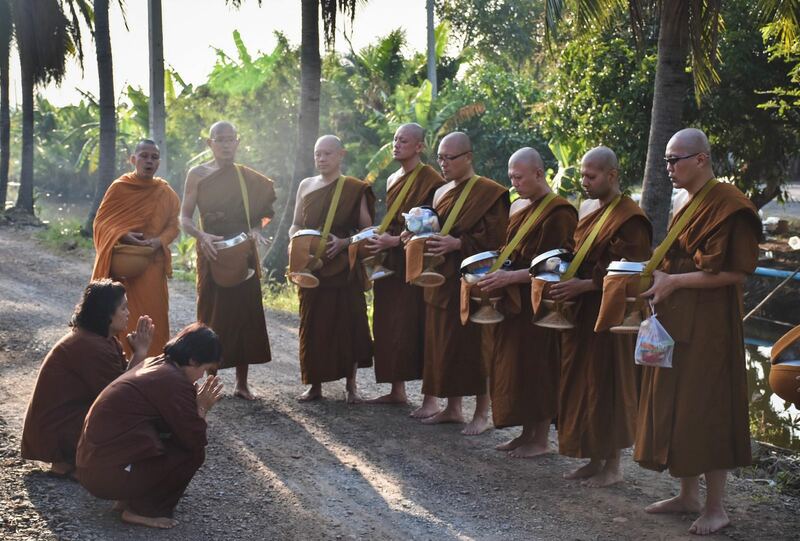 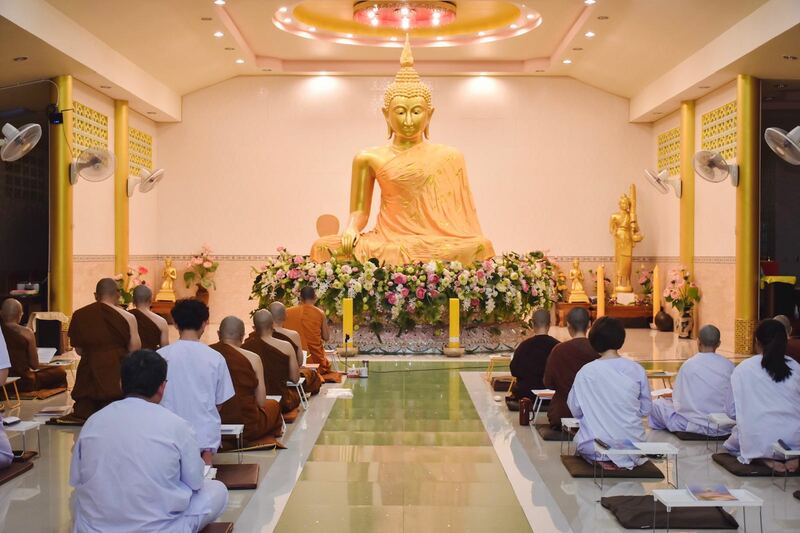 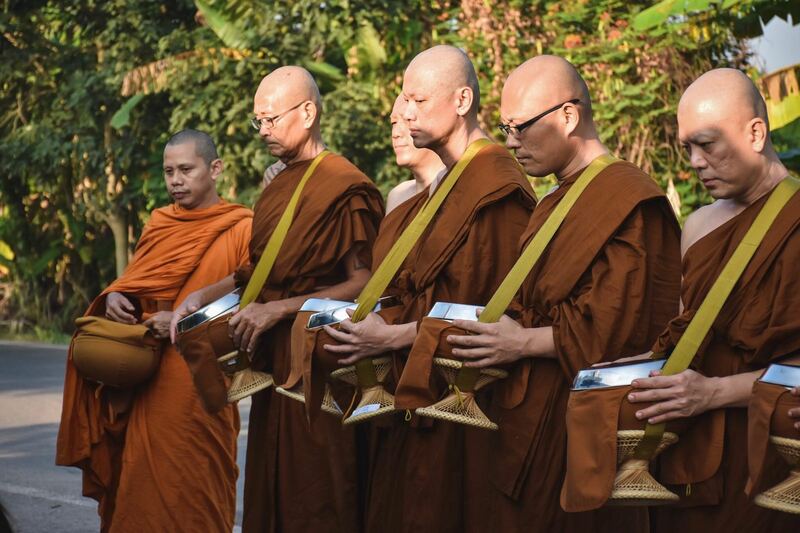 Above: The monks chanting transference of merit to the donor. 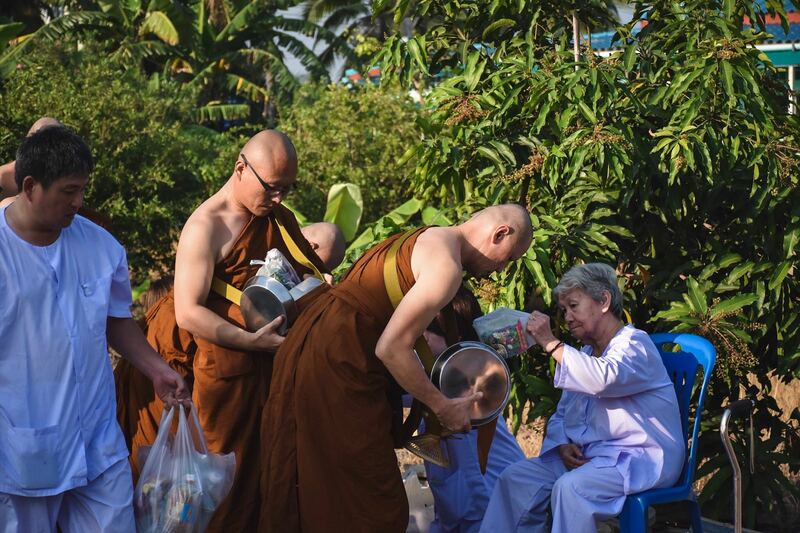 The nuns and lay disciples offer food to the monks. 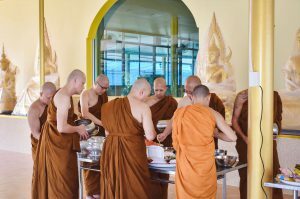 The monks took the food and placed inside their almsbowl. 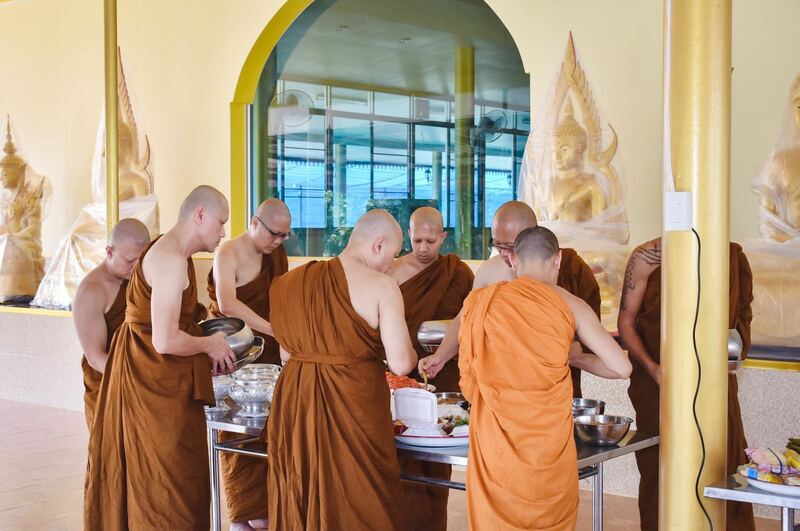 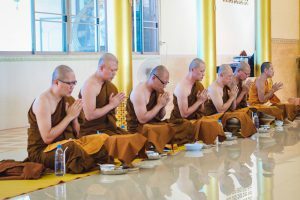 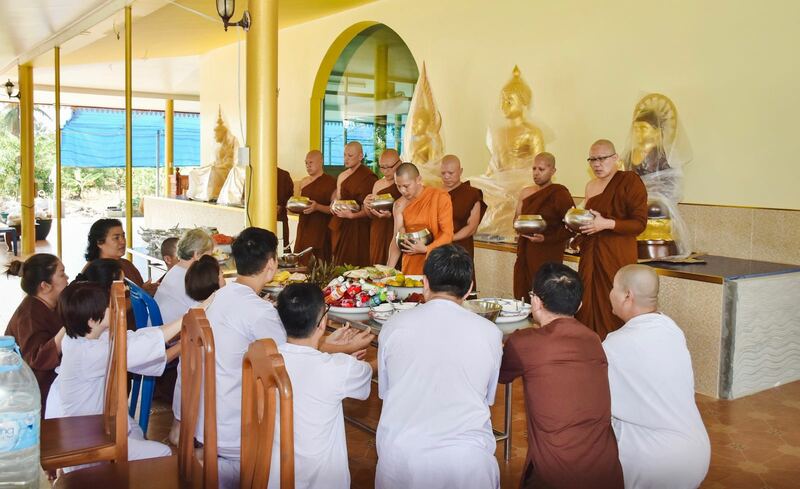 The monks performing contemplation of food. 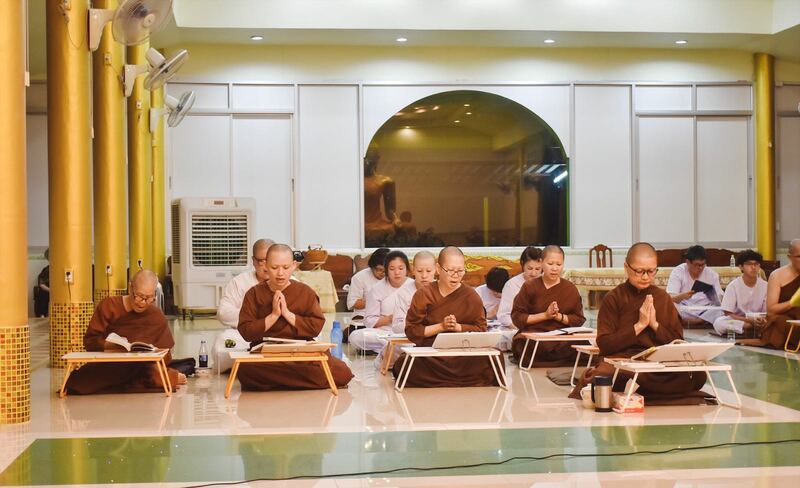 This is followed by chanting of transference of merits. 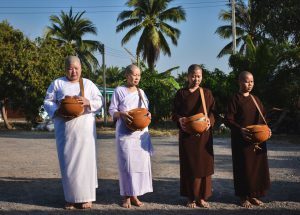 Offering of food to the nuns (mae chees). Morning alms at Wat Lak Song Rat Bamrung area. 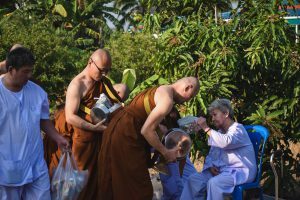 This is followed by offering of alms by lay preceptors. 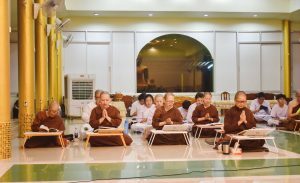 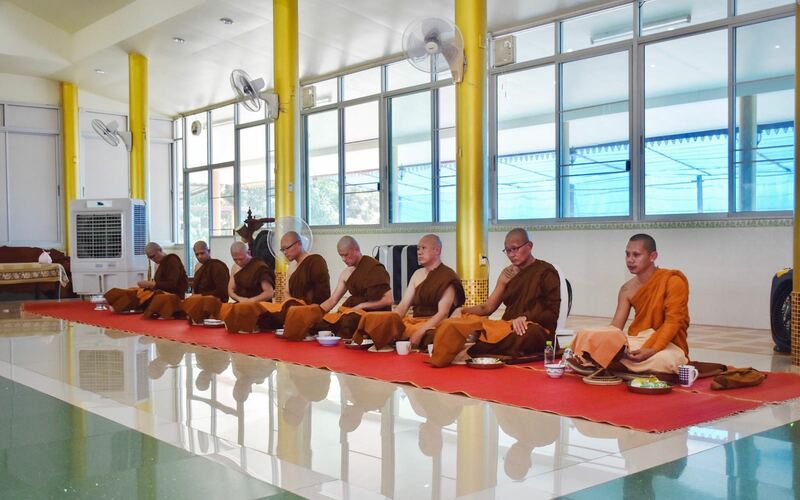 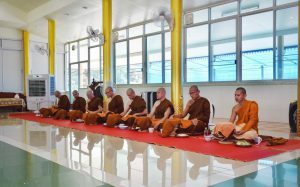 The monks chanting tranference of merits. 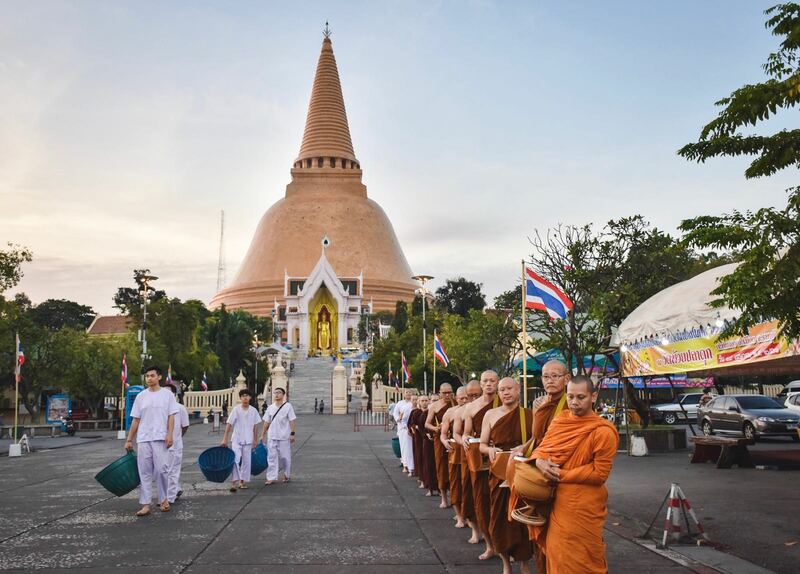 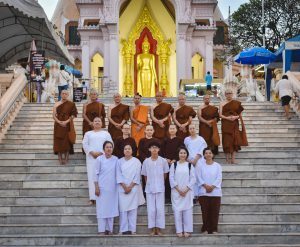 The group arrived at Nakhon Pathom Chedi early in the morning for morning almsround. 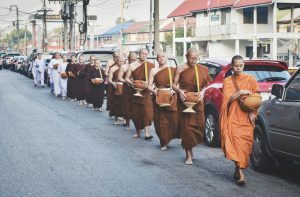 Preparation to go for almsround. 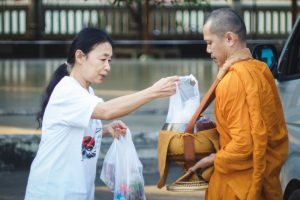 The almsround could proceed well with the help of lay preceptors who helped to carry the items. 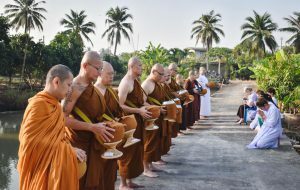 The monks carry their almsbowl in preparation for lunch. 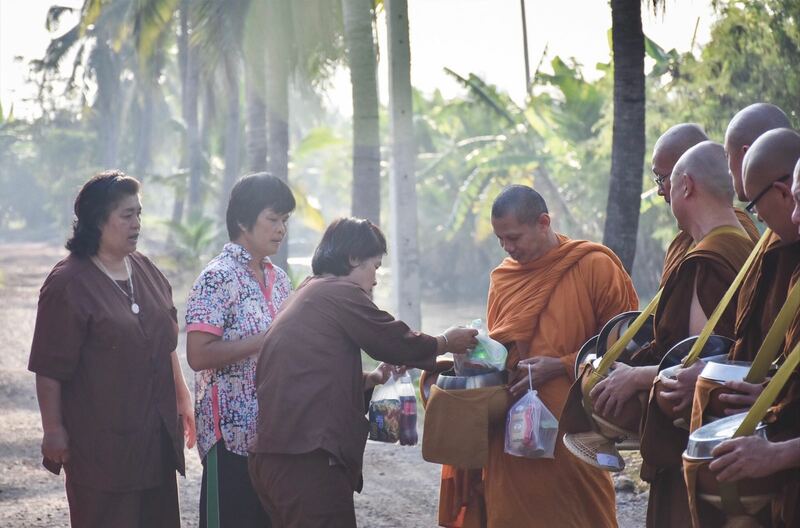 Nuns and lay preceptors offering the food to the monks. 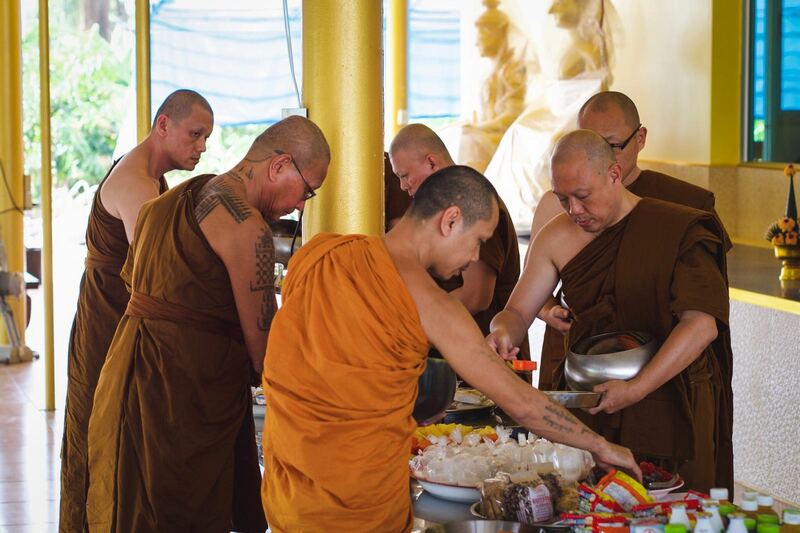 The monks mindfully placed the food in their almsbowl. 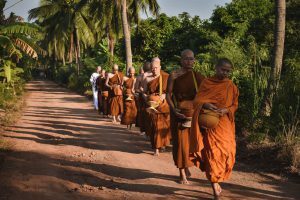 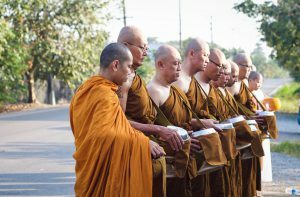 The monks chanting transference of merits. 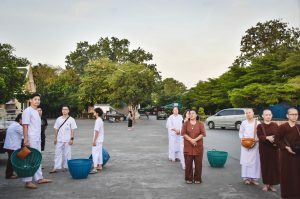 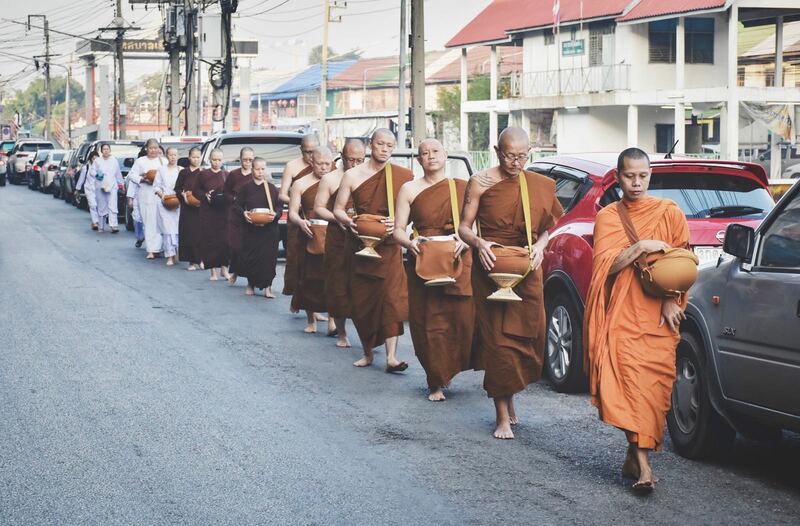 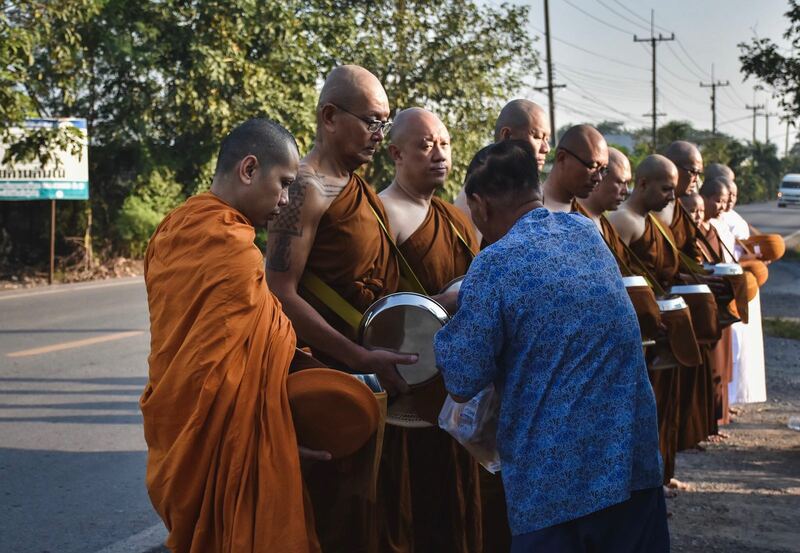 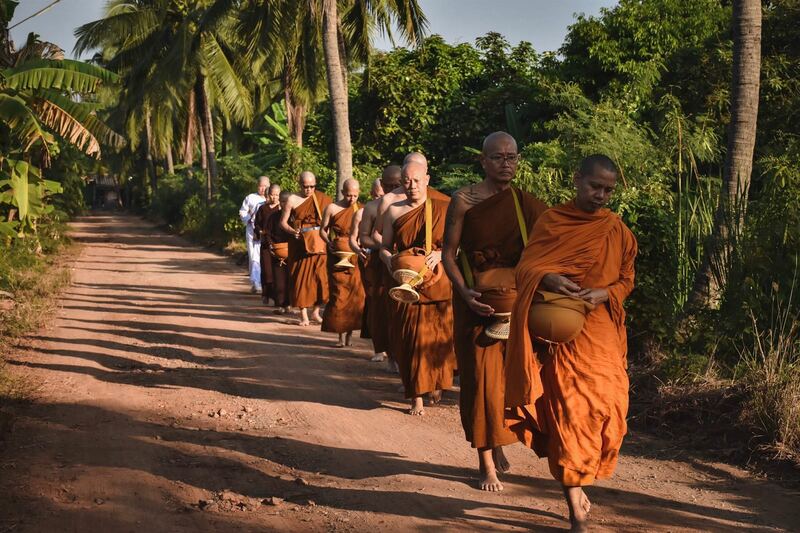 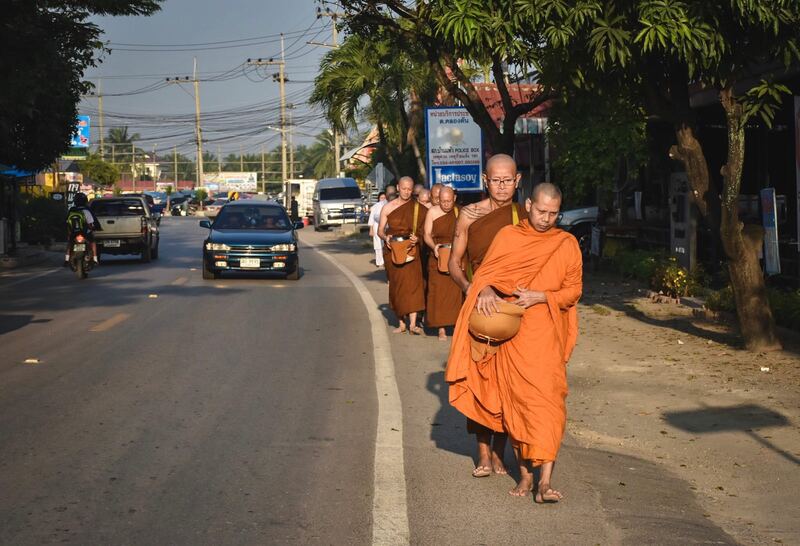 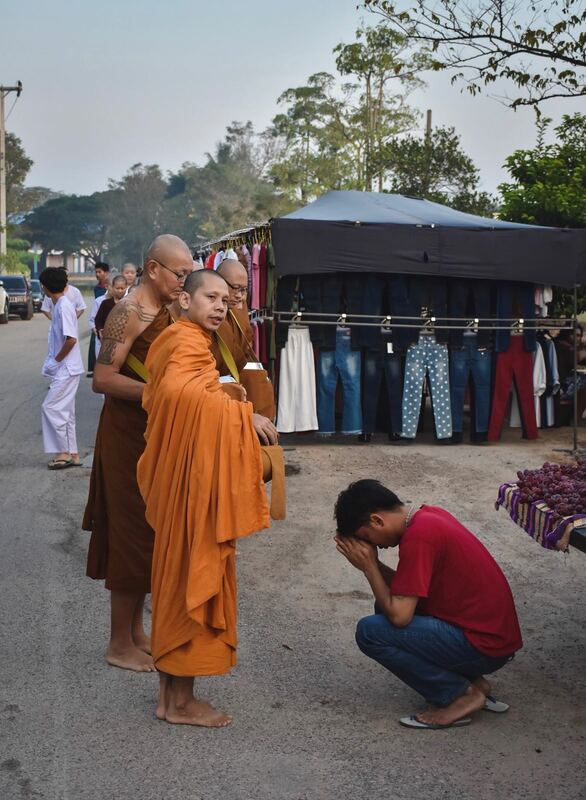 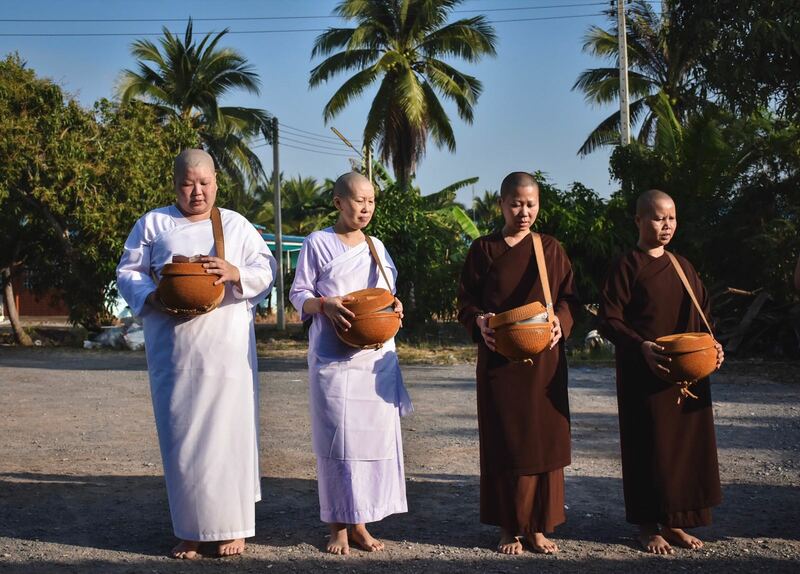 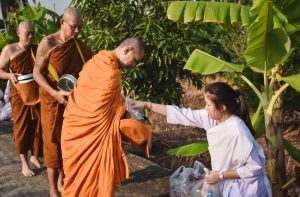 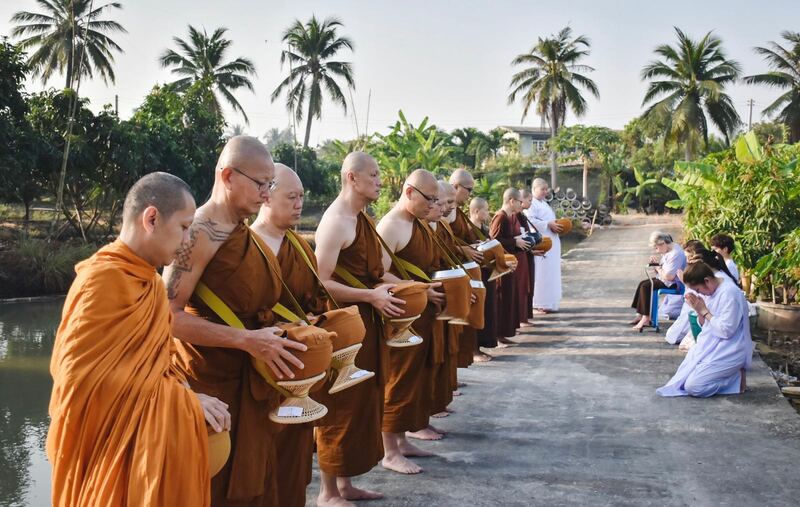 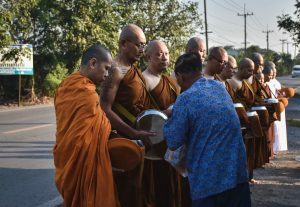 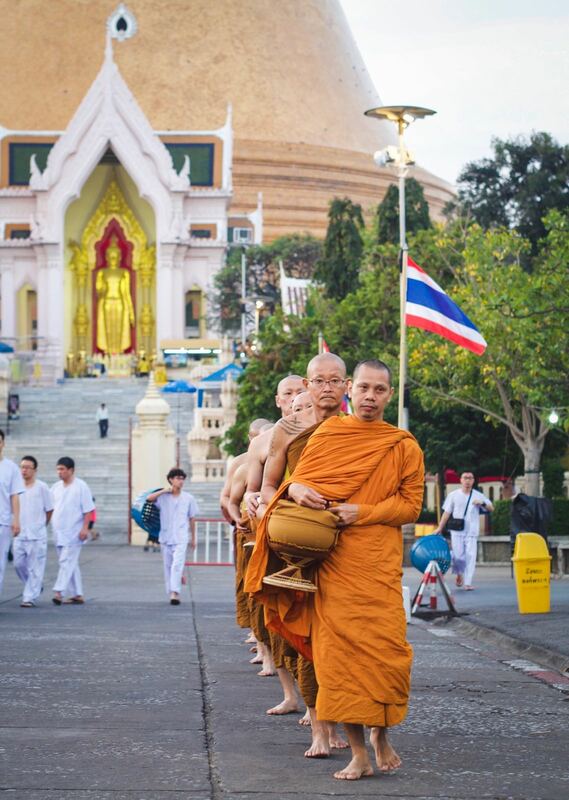 Morning alms at Krathum Baen District, located near Nakhon Pathom Chedi.